I have been a yoga instructor for two years now, and I frequently have students in my class who are so hyper-mobile that they make each pose look as easy as walking down the street. 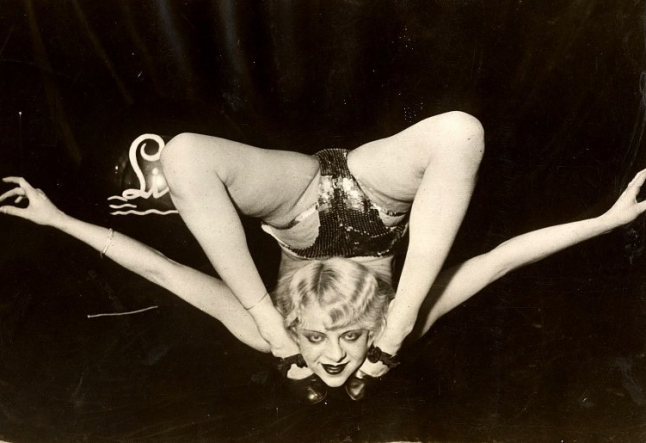 Whether they were dancers, contortionists, or just innately flexible, each of these categories of hyper-mobility comes with their own territory of problems: the inability to be neutrally rotated in their stance, the inability to feel any pose or stretch, and most commonly, injury. As a culture obsessed with beauty and physical appearance, most don’t realize that very flexible people, without proper training, are dealing with exactly the same issues as people with injuries. Therefore, without the ability to turn on and engage the muscles in each Asana, we could accurately state that hyper-mobility is equivalent to injury itself. When I have students in my classes who easily sit or fold into poses, I give a lot of my attention to them, usually unwanted, for the ego of flexible bodies do not want to be told to engage their muscles, therefore slightly coming further out of the pose. For example, in Upavistha Konasana (wide-angle seated forward bend), I heavily instruct for hyper-mobiles to flex their feet, find an internal rotation of the femur bones, lift the knee caps, pull the lower belly in and up (usually having to be taught as “tucking the tailbone,” for lack of muscle use does not know how to pull the lower belly in and up), and reach forward with the heart instead of downwards. These actions don’t just allow the student to feel the pose, but also begin to turn on muscle groups that have been previously avoided since the ultimate goal – to look pretty and get the head to the floor – has been reached. The engagement of the quadriceps and shin muscles in forward folds, most importantly, dissuades any injury to the hamstrings and lower back. In my opinion, those super flexible people are at some point going to end up just like the injured, and their egos are going to be harder on themselves for not being able to sit into a pose as they used to. It will take longer for them to heal their injury since they can’t access the surrounding muscles to support the breakage; more of a chance of having recurring injury in the same area; more of a chance of having recurring flare-ups in the injured area; and will then have more of a possibility of injuring themselves around the last injury or on the same side of the body. So when I make the statement that hyper-mobility is equivalent to injury, it is because of this very fact: injured muscles, like overly flexible muscles, do not know how, nor want to work. Therefore, though the difference is seen as being able to plop into a pose and not being able to do a pose because there’s an injury, all-in-all, there really is no difference. Neither injured person nor hyper-mobile person is getting any benefit without the ability to correctly align or use muscles, in which case, the remedy for both is the same; take it slower, engage what you can, and do not go fully into the pose. It is also very important to be aware of the joints (knees, elbows, ankles), for hyper-mobiles have a tendency to lock out their joints, which ultimately leads to arthritis over time. Joints are poorly made little hinges on the body, and they are not meant to hold the weight of a person – this is the muscles’ job. I cannot stress this enough: if you are flexible, you need strength training! I don’t mean you need to go to the gym and lift weights, although that is not necessarily a bad idea (as long as you counter the shortening of muscles with the lengthening of yoga!). But work on your Chatturanga (from Plank to half-way down); your externally rotated standing poses like Virabhadrasana II (Warrior II), Trikonasana (Triangle), Utthita Parsvakonasana (Extended Side Angle) and truly engage your leg and core muscles; neutrally rotated standing poses, especially Parsvottanasana (Pyramid), but don’t allow yourself to fold all the way forward. Instead, reach your arms straight out in front of you and only fold half-way, pulling the low belly in and up and reaching the heart forward. All of these poses will build the accurate amount of strength to protect your body from yoga and non-Yoga related injuries. Move slowly into things and be aware of whether you’re just sitting in a pose instead of letting your muscles work. Slowly come out of the pose, engage the muscles, and again, slowly move back into it. Observe your joints. Are you locking out your knees? Put a micro-bend in them. Look at your elbows when on hands and knees. Make sure the inside of the elbows are facing each other, then put a micro-bend in the elbows. This allows the triceps and biceps to work as opposed to the joints holding everything. Become aware of your body. As a hyper-mobile, you have never had to be that conscious of your muscles or ligaments yelling at you to stop at a certain point. When you begin activating parts of your body that are underdeveloped, you may feel sensations that are unpleasant and unfamiliar to you. Just be aware. Be present. Bring Ujjayi breathing into your daily repertoire. Realize that you are giving your body the freedom to work how it’s meant to, and know that when it’s all said and done, you will have not just the flexibility to do any pose, but the strength, stamina, and protection to continue doing it until you’re old, without as much risk of injury.